"Nearer, My God, to Thee" is a 19th-century Christian hymn by Sarah Flower Adams, based loosely on Genesis 28:11–19, the story of Jacob's dream. "So he came to a certain place and stayed there all night, because the sun had set. And he took one of the stones of that place and put it at his head, and he lay down in that place to sleep. Then he dreamed, and behold, a ladder was set up on the earth, and its top reached to heaven; and there the angels of God were ascending and descending on it..."
The hymn is well known, among other uses, as the alleged last song the band on RMS Titanic played before the ship sank. Everyone knows that life is all about choices. Choices are usually based on interest, attractiveness, pleasure, wants or needs. We face these choices daily and we recognize that we are responsible for our choices. Sometimes we lose out on something good because our choice was not based on good reason but rather an excuse that proved to be non-productive. When called by God we are free to respond. Our choice to respond or not to respond is totally up to us. God never pushes or demands from us. He is always a gentleman! He leaves us free to respond. There seems to be a strange belief going around that anyone thinking of becoming a religious must be totally holy or worthy. The truth here is this: To say that one IS holy enough or worthy enough is a sure sign of the sin of Pride, the Original Sin that got us into trouble a long time ago! To focus on being holy or worthy enough is to miss the whole point of having a vocation. In the Book of Genesis we read that God made us in His image and likeness. What is that image and likeness? It is love and holiness. We are holy people. Since any call from God is a gift, the excuse of not being holy or worthy enough simply falls short. At no time will anyone ever be holy or worthy enough. That is what makes this vocation a real gift. In our Gospel on this 26th Sunday in Ordinary Time Jesus essentially tells the chief priests and elders: If you think you have it figured out, think again. Take another look at what you think is important. We can change our minds—and change our hearts. “Change,” in fact, is a significant word in this Gospel. It pops up twice: describing the son who does change, and describing the chief priests and elders who don’t. Some have compared this passage to the parable of the Prodigal Son; both stories revolve around two sons, and a choice, and change. It is clearly a theme that Jesus wanted to drive home again and again to us. It is one that has echoed down through history as the Christian faith has been passed on: the notion that there is another way, a better way. The Father’s way. The Father’s will. He is calling. Are we listening? The fact is, he has something in mind for each of us. It isn’t always easy. But if we listen to what God is trying to tell us, follow the direction he’s trying to take us and trust in his will for our lives, we may be amazed at where he leads us. Twenty-five years ago, a young man named Peter Day was embarking on a career as sportswriter in Australia. “Sports,” he once said, “was my religion.” He didn’t pay much attention to his faith. “I had your standard boring Catholic upbringing,” he said, “and usually went to Mass just at Christmas and Easter.” As he was climbing up the career ladder, he got a job working for Australian radio. One Sunday, with nothing else to do, he wandered into a church. He found a seat near the back. Mass was underway. But it was unlike any he’d ever experienced before. It was a Mass for the homeless. All the people around him had no place to live, no place to call home. “I remember sitting there among all these poor homeless people,” he said, “And the gospel just came alive for me.” That moment was transformative. He knew he couldn’t keep doing what he’d been doing. He’d found another religion besides sports. A year later, he entered the seminary. During his formation, he asked the archbishop for a special assignment: he wanted to live and work among the homeless. The archbishop agreed. For eight months, Peter Day lived at the bottom of a stairwell with nothing but a mattress. He showered in a public toilet. He lived among the lonely, the fearful, the depressed, the mentally ill. When he was ordained a deacon, the ordination took place where he often volunteered: at a Matt Talbot center for recovering alcoholics. A few months after that, he was ordained a priest. Today, Fr. Peter Day runs a charity for the homeless in Australia. A guy who once seemed destined to have everything he wanted serves those who have nothing. He has never felt more fulfilled. It’s a far cry from what he was doing 25 years ago. But at a critical moment in his life, like the son in the Gospel, Peter Day changed his mind. Now, working with the homeless, he is himself an agent of change. Are we open to change ourselves? Are we open to changing ourselves? Are we open to God’s work in our lives? His will for us? This Gospel today is nothing less than a call to change, a call to conversion. It asks us to reconsider the choices we have made. It asks us to remember what matters and where it all began. If we haven’t taken our faith seriously, take another look. If we've thought, “I go to Mass a couple times a year, that’s enough,” think again. God is summoning us, calling us, challenging us—just like the father did with the two sons. He is asking us to do his work in the world. He got cowboy boots in Texas, a surfboard in California and adulation everywhere. But the single gift Derek Jeter wanted most from his final season was the one he has wanted since he was a boy growing up next to a baseball field in Kalamazoo, Mich.
Jeter wanted the best view in New York City. He wanted something that cannot be bought and something he can never have again. In the end, it meant everything to him. So that is where Jeter went, after the spine-tingling ending to his New York baseball career, when his signature hit — opposite-field single, first pitch —beat the Baltimore Orioles, 6-5, in the bottom of the ninth inning. He raised his arms in triumph, smiled widely, embraced teammates past and present. And then he went for a walk. The point of baseball is to go home. 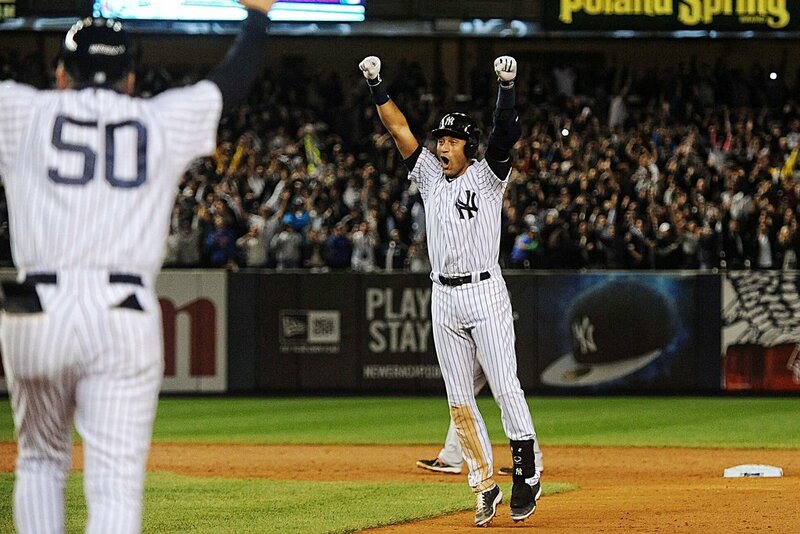 Jeter, who understands the game as well as anyone ever has, did just that. He went to his home, shortstop, the position he held his entire career, never straying for even an inning to another spot. He will hit this weekend in Boston, he said, out of respect for the fans there, and the rivalry. But he will not play shortstop again. This was it. For the very last time as an active player, Jeter stopped at the edge of the outfield grass and squatted there for a moment: his head bowed, his back to the pitcher’s mound, his glove near his face. He said a prayer. Jeter chose his words carefully; he always does. Only part of his dream is over. He has belonged to the Yankees for more than half his life, but he is only 40. He has just started his own publishing imprint. He wants to own a baseball team someday, and to start a family. How's a Christian to pray on Rosh Hashana, the Jewish New Year? Feel like nothing's changing in your life? Just the same old same old? This video (only 2 minutes) offers some Rosh Hoshana wisdom to nourish people of any faith. (Vatican Radio) Pope Francis said Mass in the chapel of the Santa Marta residence on Tuesday morning. In remarks following the readings of the day, the Holy Father focused on the simplicity of the Christian life and the Gospel’s call to radical simplicity in life and action. to call on him while he is near. and become more faithful to God’s. 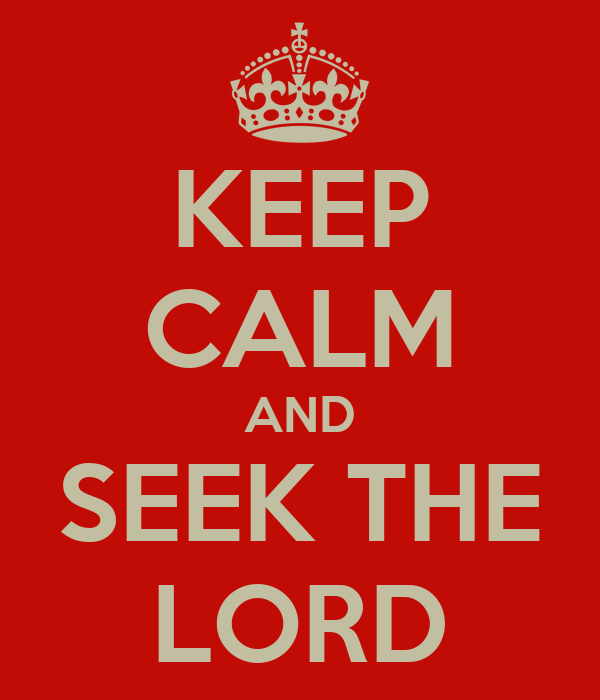 all who seek him and call for his help. that I’m at odds with God. Things aren't quite right and I need to make some changes. but my enemies, too: those who have hurt and offended me. And the Lord asks me to forgive them as I myself am forgiven by God. my heart, my time, my resources and more of my love to others. of the depths and breadth of the love Jesus gave for me. while we have the time, while we can still call on his name. his Body and Blood in the Eucharist. all that is his to give. At three o'clock in the afternoon, all will go in spirit to Calvary, there to contemplate the Heart of Mary, their loving Mother, pierced by a sword of sorrow, and to recall the happy moment in which they were given birth. Mary conceived us at Nazareth, but it was on Calvary at the foot of the cross of Jesus dying that she gave us birth. This is the thought that should occupy all the children of this divine Mother during this reunion of heart and spirit on Calvary at three o'clock . . . the reunion ends with an Ave Maria. At this hour all will suspend or interrupt whatever they are doing, if they can do so without unbecomingness. Those who are alone will kneel down. On Good Friday they will take care to give themselves completely to this prayer and to be united with as many others as possible. and of assisting her in her mission. Amen. In prison in Rome, Paul wasn't merely concerned with where he was or where he should be. Rather, he also recognized something entirely foreign to most teenagers, young adults, and many of the rest of us: His life, Paul knew, was not his own. He could die at almost any moment, either at the hands of his captors or from the disease and other conditions in the Roman jails. Paul knew he had life at this moment, but he also knew it could be ended in an instant. That's why Paul had a different sense of time than many to whom he was writing. Paul's view of the world was no longer seen through the earthly eyes of someone who aspired for mere worldly success and acclaim. Rather, his view was of an eternal prize, a "forever" home with Jesus. It clearly changed Paul's focus from his wants to others' needs. The love of Christ for Paul made Paul love others more than he loved himself. We see this repeated throughout Christian history. 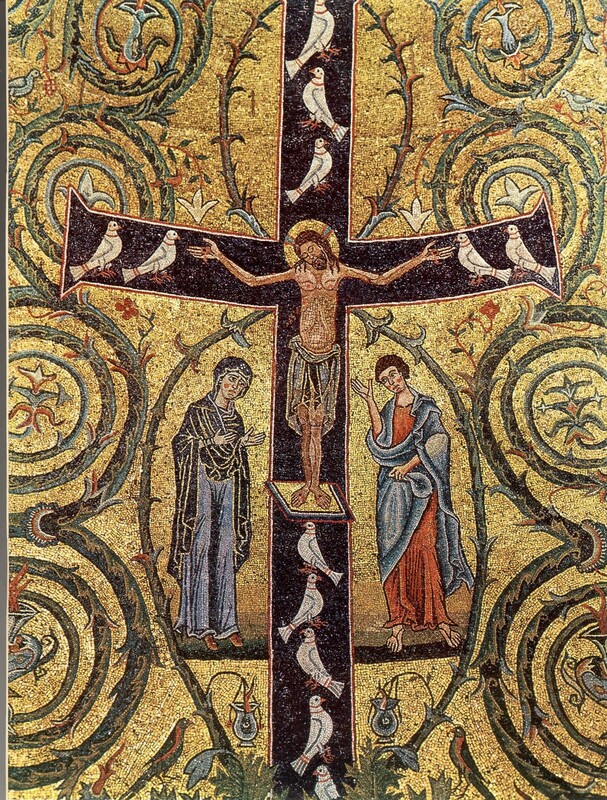 Martyrs in the church laid down their lives for the needs of those in their congregations. Maximilian Kolbe, a brave priest, substituted his life for another's at Auschwitz, and thereby gained freedom for another man. It also changed Paul's view of what mattered in life. Before his Damascus road conversion, Paul was concerned with the approval of his peers in the Sanhedrin. Afterward, he wanted his life to reflect well on the cause of Christ. What a recipe that would be for every church to follow. Paul wanted to have a good report from this church not merely to assuage his conscience. His heart was at peace with God. Rather, he wanted the Philippians to live lives worthy of the gospel because such lives would be a powerful witness. Paul saw a chance to see his struggle as a "privilege." But Paul did, because his viewpoint was changed by an encounter with Christ. In seeing things with a new vision suffused with the Holy Spirit, he counted his trials a blessing. And he wanted the Philippians to do the same because they not only had the privilege of believing in Christ, but suffering for him as well. Lance Rive is a name not very well-known in the Christian world, but his story should be told. 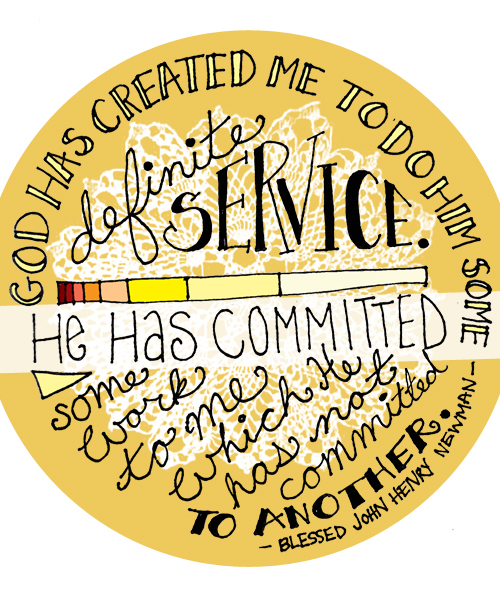 Today he is a Salvation Army officer, an ordained minister of the gospel. A few years back, Rive was in a vehicle with his wife, being driven through the jungle roads in Africa. The car overturned, and he suffered a broken vertebra, leaving him a quadriplegic. Here was a man in the prime of life, at the height of his career, reduced to utter helplessness. After months of therapy, he returned to his native New Zealand and a home specially built to accommodate his wheelchair and other needs. His wife works with him, as does a visiting nurse. But instead of moping and complaining about this sad turn of events, Lance Rive took a different tack. With his wife's help, he logs on to a computer and answers, via e-mail, the confidential letters of thousands of people from around the world. Most don't know who is writing back to them, and almost no one knows the burden under which he works. Rive is able to turn that suffering into service, awaiting a day when his pain will end and the healing promised by Christ will become a reality. Is it too much to suggest that Lance Rive is another Paul, someone who might be better off "with Christ" than lingering here and suffering the confines of a broken body? No, it is not too much to suggest. In fact, that is what Christ Jesus expects of us today. It is what Paul encouraged the believers at Philippi to do. And it's why this Scripture comes to us, pointing us away from today's trials and conflicts, urging us to turn our eyes toward Jesus and toward the work he wants us to do. Time to sit down with the Scriptures and begin to prepare for celebrating the Lord's Day this here weekend, the 25th Sunday in Ordinary Time. Spend some spare time with the texts and background material on them and invite others to do the same. This Sunday's familiar Gospel story challenges American sensitivities about justice: Hey - this story just isn't FAIR! Some workers go out into the vineyard and at the end of the day they're all paid the same wage - hey there, what's up with that? In this week's Gospel text, Jesus provides a wry glimpse at the difference between God's designs and human desires. Jesus' parable opens a tiny portal of light into the Divine as he incarnates the genuine kingdom of God (or "heaven") by engaging us in his story. The landowner's generosity is bestowed on these last-hired laborers for a reason known only to him. He does not explain or apologize for the accounting system that lavishes the same wage on everyone hired, regardless of the amount of time logged on the job. The only response the landowner has to the disgruntled first-hired workers is "Am I not allowed to do what I choose with what belongs to me?" Is God not allowed to do what God chooses with what belongs to God? God is God, and we are not. When kids are uniquely themselves--that is when they do or say something that strikes us as completely off-the-wall--the nonjudgmental response an adult often makes is "You're a piece of work!" Although we don't always understand kids' ways, we shake our heads in acceptance when we say "You're a piece of work!" So, too, when God exercises God's own unique way of doing things--ways we do not agree with or even comprehend. Once again, we are confined to saying in amazement, "What a piece of work!" We need to become more fully Catholic, but in the sense of personal conversion, not in the sense of purging the church of lukewarm believers. By that I mean helping people to become more fully Catholic, as Pope Francis has been trying to do. This challenge, to me, is what the Catholic blogosphere has most needed for a long time. I’m sure Francis is challenging some people on the left end of the blogosphere as well, but I don’t hang out there all that much. Francis isn’t interested in purging the church for the same reason St. Paul isn’t interested in it. 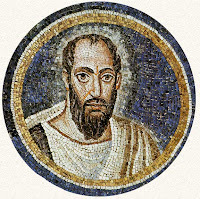 When St. Paul speaks to the Corinthians, he doesn’t tell this passel of screwed-up Christians who are sleeping with their stepmothers, getting drunk at Mass, taking each other to court, denying the Resurrection, and dissing him as a fake apostle that “you’re not real Catholics.” Instead, he insists that even the dopiest of the Corinthians are real Christians. In short, instead of kicking people out, Paul cries “become what you are!” One of the mythic expectations inexplicably attending gentle and sweet Pope Benedict was the notion of a “Coming Benedictine Purge” where many Catholics on the right dreamed he was going to start kicking people out of the church. But that was never going to happen. And now, under this Pope, that has been confirmed beyond all doubt. What Francis wants is for all of us to accept each other with the all-embracing love of God—which is certainly a challenge for me, because the people he wants me to love and forgive are not people I would normally be eager to embrace. For me, he’s challenged me to think and live in new ways, to ask myself new kinds of questions about how I spend my money and what I’m doing about the poor, weak and vulnerable around me. To be sure, that includes the very old and very young our culture of death wants to kill. But it increasingly includes others to whom I have been blinded in the past by the reduction of the five non-negotiables to the Only Five Things That Matter. How am I responding to Iraq? How am I responding to what’s happening at the border? What about families being destroyed by gross income inequality? Those are questions that would not have occurred to me 10 years ago because I considered everything other than the five non-negotiables to be matters of prudential judgment—and I took prudential judgment to mean “feel free to ignore the church if it threatens your political ideology in some way.” But I’ve learned in the past 10 years that prudential judgment doesn’t mean I can just blow off anything from the church that isn’t prefaced by “Simon Peter says.” We’re called to be docile to the church so that unless we can give a really good reason why the church’s guidance is absolutely immoral, we should try to do what the church asks even on things which aren’t absolutely essential. We should try to obey the church and the mind of Christ as much as we possibly can. That’s the point of the story of the rich young man in the gospel. Marriage is another example. If a married person asks “what’s the least I can do for my spouse and still call it a valid marriage,” that marriage is already in trouble. Real love never asks “what’s the least I can get away with doing?” It always asks “what’s the most I can do?” That’s what Francis is asking us to consider. What’s the most I can do to love you, Lord Jesus? It’s not about doing the minimum daily requirement to live as selfishly as I can and still squeak into heaven. 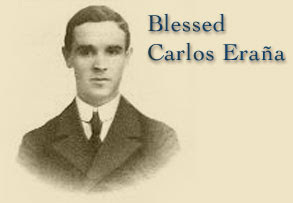 Blessed Carlos was born in Spain, on November 2, 1884. 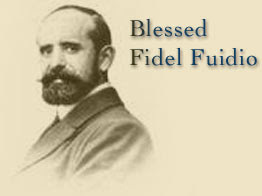 He and his two companions, Blessed Fidel and Blessed Jesus, were imprisoned in hatred of the faith in 1936 in Ciudad Real. 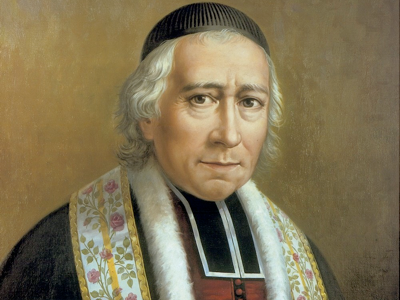 All were devoted to teaching and to the Marianist charism of Blessed William Joseph Chaminade. 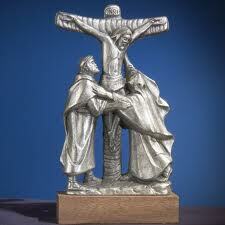 The three met in Ciudad Real in the summer of 1936 and suffered separate martyrdom. When his school, the prestigious "Collegio Nuestra Señora del Pilar", was requisitioned, he felt hunted in Madrid and made a dangerous journey to Ciudad Real to seek help from his former students. Sadly, he found the two schools there had already been requisitioned and the communities scattered. "It will be as God wishes", he would say, as he calmly visited his confreres, without concealing his religious status. 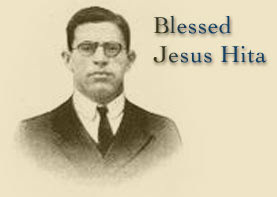 He was executed at dawn on September 18, 1936. His companions, Fidel and Jesus were martyred shortly afterwards. Today's feast dates back to the 12th century. It was especially promoted by the Cistercians and the Servites, so much so that in the 14th and 15th centuries it was widely celebrated throughout the Catholic Church. In 1482 the feast was added to the Missal under the title of "Our Lady of Compassion." Pope Benedict XIII added it to the Roman Calendar in 1727 on the Friday before Palm Sunday. In 1913, Pope Pius X fixed the date on September 15. 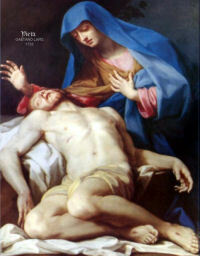 The title "Our Lady of Sorrows" focuses on Mary's intense suffering during the passion and death of Christ. "The Seven Dolors," the title by which it was celebrated in the 17th century, referred to the seven swords that pierced the Heart of Mary. The feast is like an octave for the birthday of Our Lady on September 8th. This feast is dedicated to the spiritual martyrdom of Mary, Mother of God, and her compassion with the sufferings of her Divine Son, Jesus. In her suffering as co-redeemer, she reminds us of the tremendous evil of sin and shows us the way of true repentance. May the numerous tears of the Mother of God be conducive to our salvation; with which tears, O God, art able to wash away the sins of the whole world. In today's Gospel passage, Nicodemus is like one of those folks so resistant to change that they keep claiming that new possibilities are still impossible. Nicodemus is so flummoxed by the unexpected nature of Jesus' images and the possibilities of his promises that all he can keep stupidly stammering is "How is this possible?" "How is this possible ...? "-How is it possible for us to be born "from above" after our first physical birthday is long past? -How is it possible for us to see and enter into the "kingdom of God"? -How is it possible for sinful men and women to "ascend into heaven"? -How is it possible that mortal creatures such as ourselves may gain "eternal life"? The answer to the question, "How is it possible?" is "We've got an Impossible God!" That is to say, a God who defies what is possible, who transforms a "no-way-José-unbelief" into obedient faith. Our impossible, too-good-to-be-true God outlines the core of this reality in this memorable verse: "For God so loved the world that he gave his only Son, so that everyone who believes in him may not perish but may have eternal life." Indeed all things are now possible because "God so loved the world ... and gave us his only Son." Indeed, Jesus is proof of God's commitment to doing the impossible. When Saint Paul talks about the name of Jesus, he suggests that the name embodies all that he describes in these verses: deity, humanity, humility, servanthood, suffering, death, the cross. But is that what the world hears when they hear the name Jesus? Say the name Jesus, and there are a lot of people who will respond that Jesus is a great moral teacher. He’s a great spiritual guru, just like Buddha, Mohammed, Vishnu or Mother Earth. He’s an ethical character of a story, as in Aesop’s fables. Or Jesus is not much more than a swear word. None of these understandings of “Jesus” are going to bow a knee or loosen a tongue. The name Jesus is often invoked in favor of certain political issues at the expense of others, leaving many nonbelievers to assume that while Jesus saves, Jesus saves only straight, pro-life, Republican, law-abiding, middle-class, drug-free, model citizens. That might be some people’s version of Jesus. It’s not the New Testament Jesus who, we’re happy to note, saved cheats, hookers, thieves and church-persecutors as well as blessing just about everyone he met. He didn't die for put-together people; he died for train wrecks … like you and me actually. He died for the messed-up pretty people and messed-up ugly people-too. Here's a challenge - no ice bucket involved! but you'll need a little time to prepare to meet my challenge. Need a day off from it all? That's just what the Sabbath was meant to be! Of course, some folks have to work on the Sabbath. you're being too much in charge. when you're not doing anything. which part of it can you complete? 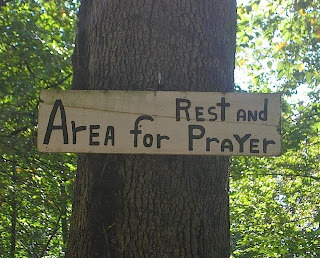 will you set aside for rest and prayer? will you set aside for rest and prayer on Sunday? Mauro Pallotta, a Rome-based street artist, was reading a Superman comic strip while watching a TV documentary on the pontiff when he had an idea. 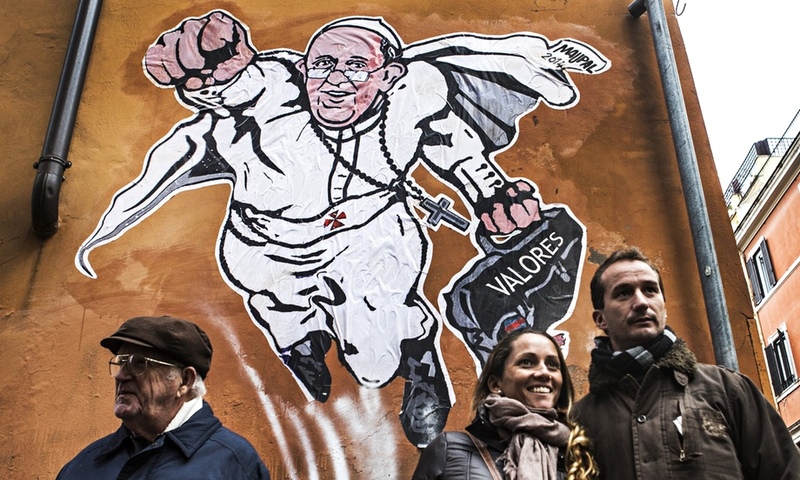 Why not create a mural of Pope Francis as a superhero? So on a cold night last January, the 42-year-old who goes by the pseudonym MauPal, sneaked out to put an image of the pope up on a wall next to the Vatican, while his girlfriend kept watch. The mural showing a flying pope dressed in his white cassock with his fist raised a la Superman was an instant hit. The Vatican even tweeted an image of it. Within 48 hours, Rome authorities removed MauPal's mural, but the work became the best-known example of a burgeoning trend of street artists taking inspiration from the pope. “He is our superhero,” said MauPal, who created papal murals in other cities and gave the pontiff a small wooden tablet with the drawing of the superpope mural during a general audience in February. Another painting by an anonymous artist – this time depicting a smiling Pope Francis on a bicycle riding towards viewer – went up near the Vatican within days, as has a papal mural in the pope’s native Buenos Aires. This summer, a black-and-white graffito signed by British street artist Banksy of a waving Pope Francis riding a Vespa popped up on the main boulevard leading to St. Peter’s Basilica. The popularity of Pope Francis as a subject for street art has a certain irony. In Renaissance time, popes commissioned great artists, such as Raphael, Sandro Botticelli and Titian, to paint their portraits. By contrast, murals are considered the poorest form of art, often thumbing its nose at the establishment and seeking to free art from the confines of museums. Today, on Our Lady's birthday, the Church celebrates the first dawning of redemption with the appearance in the world of the Savior's mother, Mary. The Blessed Virgin occupies a unique place in the history of salvation, and she has the highest mission ever commended to any creature. We rejoice that the Mother of God is our Mother, too. Let us often call upon the Blessed Virgin as "Cause of our joy", one of the most beautiful titles in her litany. Since September 8 marks the end of summer and beginning of fall, this day has many thanksgiving celebrations and customs attached to it. In the Old Roman Ritual there is a blessing of the summer harvest and fall planting seeds for this day. The winegrowers in France called this feast "Our Lady of the Grape Harvest". The best grapes are brought to the local church to be blessed and then some bunches are attached to hands of the statue of Mary. A festive meal which includes the new grapes is part of this day. In the Alps section of Austria this day is "Drive-Down Day" during which the cattle and sheep are led from their summer pastures in the slopes and brought to their winter quarters in the valleys. This was usually a large caravan, with all the finery, decorations, and festivity. In some parts of Austria, milk from this day and all the leftover food are given to the poor in honor of Our Lady’s Nativity. In midtown Manhattan, near my office, there’s a huge public school on East 56thStreet. For the last two months, that stretch of the street has been a beautiful oasis—almost completely deserted. That changed this week. The kids are back in school. Around 8:30, the sidewalks are absolutely mobbed. It’s wall-to-wall kids, from grade school up to junior high. Wednesday, I had to walk in the middle of the street just to make it to the next block. And for several blocks around, as you get close to the school, you see the same thing: kids in new clothes with new backpacks, heading off to class. But you also see something else. A lot of the younger kids have company. They have their parents walking with them, holding a small hand. And more and more you see something that you wouldn’t have seen 50 years ago, when I was growing up: the one walking them to school is Dad. So you see these lawyers and doctors and Wall Street brokers who live in expensive apartments around Sutton Place…holding hands with seven and eight year olds…reassuring them as they head off to school. Sometimes, you’ll see Moms and Dads. The walk to school is a family affair. It’s heartening to see. And it called to mind something I read a long time ago. Watch out for traffic, hold hands and stick together, and be aware of wonder. The recurring message this weekend is one of community, solidarity, connectedness. We need one another—and we need to look out for one another. First, watch out for traffic. We need to guard one another from head-on collisions with sin. “I have appointed watchmen,” the reading from Ezekiel tells us. “You shall warn them for me.” The Lord will hold us responsible if we see someone in sin and say nothing. Secondly, hold hands and stick together. When looking out for one another, we need to do it using the most fundamental of Christian qualities: love. And finally, when we look out for one another, be aware of wonder. Be aware of the presence of God. We need to honor one another. To protect one another. To be Christ to one another. The reading from Paul’s letter to the Romans sounds so beautiful and promising. But let’s face it: it isn’t easy. I’m not that great at loving at my neighbors, even the ones I like. And what about the ones I don’t? What about the neighbors I’ve never met? What about the ones I want nothing to do with? What about the kid down the hall who plays loud music and gets into screaming fights with his girlfriend every night? What about anyone who is different? The young man you see reading the Qu’ran on the bus…or the hipster with the pierced lip…or the old woman who yells in the grocery store because she has lost her hearing and, in fact, may also be losing her mind. These are my neighbors. Do I love them as I love myself? Do I want to look out for them? Do I see Jesus in them? Perhaps more importantly: do any of them see Jesus in me? I have a lot of work to do. These scriptures are a challenge—and a consolation: We aren’t in this alone. Every day, we head to school with a parent holding our hand: the God who loves us, who wants to protect us—but who also knows he has to let go and leave us to make our own choices, our own mistakes. But if we are attentive to our call as Christians, we strive to follow his commands, to fulfill his will for us. This should be our heart’s desire: to endeavor every day to fear less—and to love more. As we prepare to receive the Eucharist this morning, we pray to receive as well a deepening of that desire. We pray for the courage and generosity of spirit to love our neighbor as ourselves— knowing that God’s love for us, and the neighbors around us, is limitless. The scriptures assure us of this. And so, in fact, does Robert Fulghum. Here's a great new video from the Diocese of Charleston in South Carolina. Its theme underscores the universal vocation of each of us—and the video nicely reflects all vocations, from the priesthood to religious life and marriage. Take a look and respond to the call. Today, as Marianists, we remember Mary as Queen of Apostles. On this day in 1818 the first Marianists, Brothers and priests, publicly professed vows of chastity, poverty, and obedience. Among the many congregations that sprang into existence in succeeding ages and in various parts of the world, some were called to one particular form of work, some to another. And last of all, we believe that we too have been called by Mary herself, to assist her with all our might in the struggle against the great heresy of our times. To this end, we have taken for our mottos, as declared our Constitutions, these words of the Blessed Virgin to the attendant at Cana: “Do whatever he tells you” (Jn 2:5). We are convinced that our particular mission, despite our weakness, is to perform all the works of zeal and of mercy for the welfare of our neighbor. It is for this reason that, under the general title of teaching Christian morals, we employ all the means at our disposal for preserving our neighbors from the contagion of evil, and of restoring those who have fallen under its sway. It is not without divine guidance that the Reverend Chaminade went into exile to Saragossa. There, visiting the shrine of our august Sovereign, he understood the plan of divine mercy to lead his country back to Jesus through Mary. Sensing, without a shadow of doubt, that an important role had been reserved for him in this apostolate, he prepared himself for that mission by meditation and prayer at the feet of the august image. It is, in fact, not an empty praise that we give to Mary by this title of Queen of Apostles. Just as she helped the apostles, educators of the nascent church, by her support and counsels, so we must also affirm that she assists at all times the heirs of the apostolic office who seek to either prepare victories or to repair disasters in the adult Church. it is yet to be revealed. and to places we never expected to visit. But we will never be duped by the Lord. In the Lord there is mystery, but never duplicity. In the Lord there is wisdom, but no chicanery. and is revealed to each of us not all at once, by only day by day. in whose shadow we pray this morning. may the Lord come into our hearts. to the Lord who is the truth of our lives. When Blessed Chaminade returned to France from Saragossa, he immediately began recruiting. He asked two young men who were coming to Mass to see him and to bring two others; then the four recruited four more. In a year the number had increased from a few to one hundred. Recruitment in other words was constant and universal. But his recruitment was more than gathering numbers. He looked for persons who had a basic desire to live the Christian life, who wanted to join the Sodality he was forming, and who wanted to live by the promises they would make as members. There had to exist a basic belief system in the candidates. The geometric progression of sodalists happened by a process of one on one. His premise, simply stated, was that people desirous of living good Christian lives will find support for these values within a community of faith. What is more, Blessed Father Chaminade did not just gather people; he wished to form them. His was a work of education. Later when he opened schools, his cry was the following: We teach only in order to educate. Education, for Blessed Chaminade, included using all the means that would help others be transformed into Christ. Such was the thrust of the Sodality of Bordeaux. The Sodality had structures, rules, traditions. Because the members were being formed in the aftermath of the French Revolution, there was need for much religious formation. A new twist in Father Chaminade’s process, however, was that those who received formation were then enlisted to help in the formation of new candidates. Chaminade remained at the center of things, bu t he involved many members in various positions to help, and they took direct responsibility for their office. For example, in addition to the director of the Sodality—Father Chaminade—there was a prefect and a vice prefect. Each of these had two officers of honor. Sometimes, if important persons were visiting or had business with the Sodality, they would be named honorary prefects and would have two officers of honor. Jobs and roles were created in order to involve as many people as possible.